From downtown Reno, go South on 580. Exit Moana Lane. Go right. Turn right on Kietzke Lane (the first traffic light). 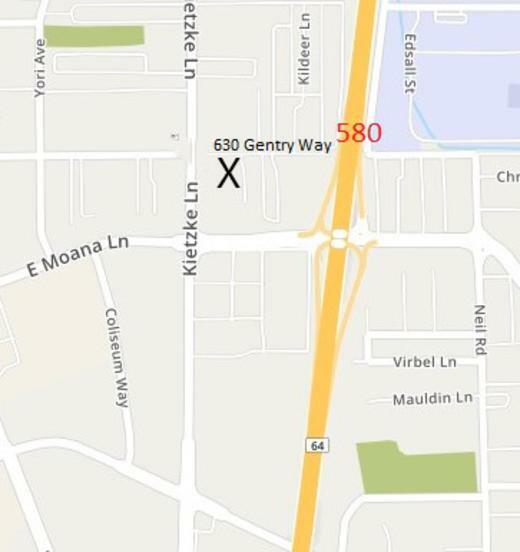 Turn right on Gentry Way (the first traffic light). You're there!